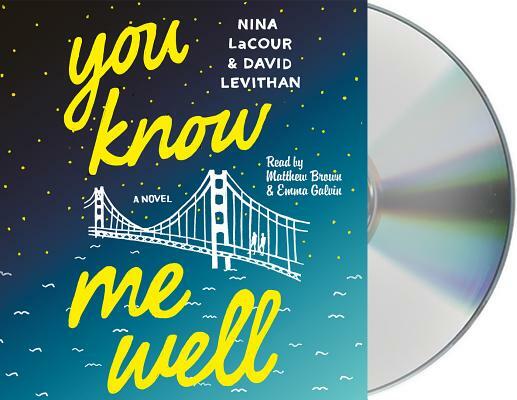 An audiobook told in alternating points of view by Nina LaCour, the award-winning author of Hold Still and The Disenchantments, and David Levithan, the best-selling author of Every Day and co-author of Nick and Norah's Infinite Playlist (with Rachel Cohn) and Will Grayson, Will Grayson (with John Green), You Know Me Well is a deeply honest story about navigating the joys and heartaches of first love, one truth at a time. Matthew Brown has voiceover experience in many different areas, including commercials (national and regional), audiobooks, ESL, feature film ADR/looping and animated projects both feature film and television. His narration credits include Matthew Dicks’s Memoirs of an Imaginary Friend and Mary E. Pearson’s Fox series. He received a 2011 AudioFile Best Audiobook Award for Young Adult & Fantasy for his reading of The Adoration of Jenna Fox.